The Trinity Car​es ministry was created to help members of Trinity who are in a challenging situation. Recently, Trinity provided help for Mark Eickhorst also known as Mr. Racine as well as a young mom who passed way to early due to a seisure, in both cases we helped with funeral expenses. Right now, Trinity is helping Lutheran South Academy in Houston, TX after the effects of the recent hurricane. 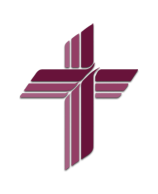 In General, for Trinity Cares to provide help, we focus on our members first and then those who have a connection to Trinity and ministry in the LCMS. Trinity will always Care.